Amalia's father is traveling for a week, and Amalia is staying at home with her mom. She misses him, and wants Dad to make her the special chocolate he makes. Time passes slowly, and Amalia can't wait. She sits, sad, in the living room, but suddenly - a knock at the door. Who could it be? Strange guests come to visit Amalia, and who knows who they really are? Amalia's Father Is Going to Australia is a story about separation, bringing with it a longing, but also an opportunity for change. Eshkol Nevo is the author of Osmosis and World Cup Wishes, and the father of two girls. Amalia's Father Is Going to Australia is his first book for kids, and is great for a parent's first trip away. 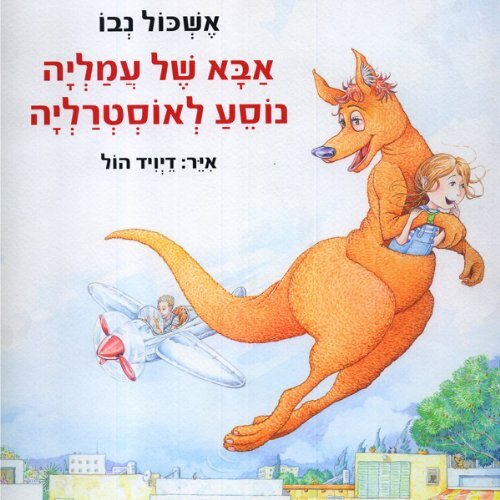 Amalia's Father Is Going to Australia was originally published by Zmora Bitan. The audiobook was produced by SonicBooks. Please Note: this audiobook is in the Hebrew language.